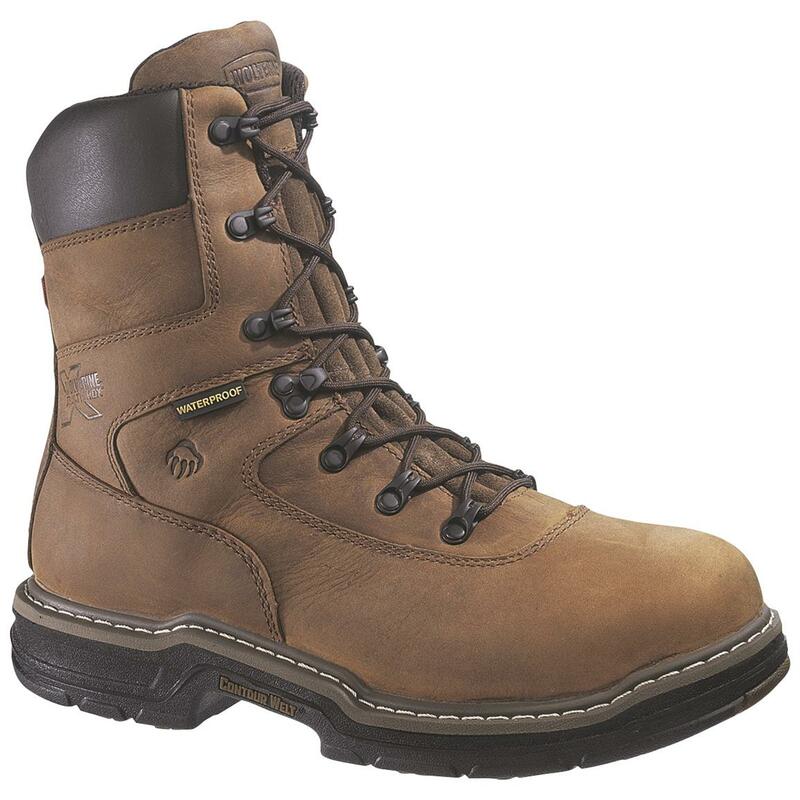 Wolverine® 8" Marauder MultiShox® Waterproof Steel Toe Work Boots A work boot with full - foot cushion for unbeatable comfort! On the toughest of work days, the Marauder Steel Toe Work Boot comes through with all the comfort assurance you could want! Start with the MultiShox® removable full-cushion footbed... the impact of each step is lessened, and at the end of the day, your feet still feel good! And you can't beat the waterproof protection on great-looking full-grain leather uppers. No one wants wet feet, and these work boots deliver, time and again. And for warmth, you get 400 grams of ThinsulateTM Ultra Insulation as a buffer from chilly outdoor air. Steel toe, weighs approx. 34 ozs. Get these rugged Steel Toe Work Boots at The Guide ONLINE today! Mens Wolverine 8 400 grams of Thinsulate Ultra Insulation Marauder MultiShox Waterproof Steel Toe Boots, Brown is rated 5.0 out of 5 by 2. Rated 5 out of 5 by JONATHAN from Wolverine has my boot of chose for 15 years.